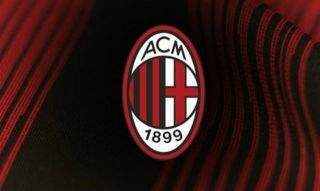 AC Milan boss Gennaro Gattuso is reportedly considering two changes to his defence as his side prepare to host Roma at the San Siro on Friday night. The season looked set to get off to a positive start for the Rossoneri as they opened up a 2-0 lead at Napoli over the weekend. However, they were unable to hold out and eventually capitulated in the final 30 minutes to lose 3-2. In turn, Gattuso could be tempted into changes in order to ensure that they are capable of bouncing back in what promises to be another difficult outing against Roma. According to Calciomercato, Diego Laxalt is pushing to replace Ricardo Rodriguez at left back, while the same outlet suggest that summer signing Mattia Caldara could replace Mateo Musacchio next to Alessio Romagnoli in the heart of the backline. The Laxalt switch would seemingly make sense, as with Cengiz Under likely to be deployed on Roma’s right flank, the Turkish ace’s trickery and pace could cause real problems against the slower Rodriguez, with Laxalt able to switch through the gears and potentially has the attributes to deal with him more effectively. With that in mind, that could be a sensible change while Musacchio struggled in the latter stages against Napoli after a composed opening hour and so perhaps there is an argument that having now had time to settle in at his new club, Caldara is ready to start for Milan. As shown in their thrilling 3-3 draw with Atalanta on Monday night, Roma do have defensive flaws but when momentum is on their side, they’re a very difficult team to keep at bay. In turn, Milan will undoubtedly have to defend much better than they did against Napoli in the latter stages of that game, or they may well face a similar onslaught against Eusebio Di Francesco’s men.